Whether you are moving into a new home in the Palm Beach Gardens area of Florida, renovating your current home, or you’ve had issues with your door locks, a locksmith can come in and replace them worry free. 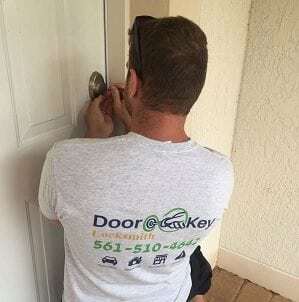 Door N Key is here to offer you professional services from a locksmith in Palm Beach Gardens, FL who has plenty of experience in terms of replacing and changing locks and also providing automotive, residential, commercial and 24 hours emergency locksmith services. Of course, you don’t want to settle for just any Palm Beach Gardens, FL locksmith, which is exactly why you’ll appreciate our years of experience, professionalism, and attention to detail. We provide 24 hour locksmith service for residential, commercial and auto locksmith services. It’s something that can happen to any of us at any time; getting locked out of your car is unfortunately a lot more common than you may think. That’s exactly why we offer superior car lockout service so you can get into your vehicle quickly, and without a hassle. 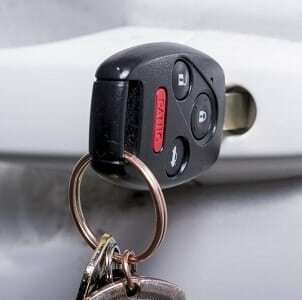 We even offer automotive keys made so that you don’t have to worry about being stuck without a key. Whether you’ve lost your keys, or locked them inside your vehicle, there is no need to stress. Just give us a call and let us deal with the problem! If you’ve ever been unfortunate enough to find yourself locked out of your house, then you know exactly how frustrating it can be. Of course, it’s even worse if you happen to be stuck outside in the heavy Florida rain! That is exactly why we’re available to come and change door lock systems or have them rekeyed according to your needs. We get the job done quickly, effectively, and in a professional and friendly manner. Our locksmiths are well experienced and can handle any type of lock system. That means you won’t be waiting long until you are comfortably inside your home again. For business owners, there is a lot riding on keeping the contents of your building safe and secure. The last thing you want to find is that you have been burglarized and thousands of dollars’ worth of machines and equipment has been taken. We can help prevent this from happening by installing our commercial door locks that use a master key system. Give us a call and we’ll happily come out and install a brand new secure, safe, and easy for you to use locking system. We provide not only security and safety to your building, but also give you peace of mind. Because emergencies can happen at any time, it’s always good to know there are people ready and willing to help. If you should find yourself locked out of your home, car, or office building we are available with our lockout service 24 hours a day, seven days a week. Our professional 24 hour locksmith can be ready at a moment’s notice, and will work quickly to get your door open. So, before you start to panic and wonder what you’re going to do, remember there is no such thing as “business hours” with us because Door N Key is always open and ready to be of assistance. I needed a car remote programmed and dealer wanted $150! Door n' key came to me and did it for much less! Prompt, courteous and professional. I would recommend this company anytime! Excellent and quick service. Much better price than the dealership for a new keyless entry. Convenient at home service. Highly recommended. I called Door N Key just days before hurricane Irma. I new I would probably not have much luck. I need keys for my hurricanes shutters. They came over and actually had the key I needed. They were quick and efficient. I highly recommend them if you need a locksmith! Barel came right to my car and replaced my key, which I had dropped in the ocean. Works great. 5 starts. Totally recommend DoornKey . If you are in the area and locked out, this is the place to call. I called a few places who couldn't give me a quote and charge a service fee. Door and Key not only was competitive with their prices but the service was excellent! Barely arrived within 10 minutes, was fast, friendly, professional and his price beat all of the places who did give me a quote. Needed Lexus keys cut for blanks that I had bought on line. Called to see if they could help. We set up a meeting place as I was heading out to run errands. He showed up to my location when he said he would and greeted me with a smile and positive attitude. Cut two keys and had me on my way in a short period of time. Even with having to remove the old remote that was superglued to the shell. Very positive experiance. My keys got locked in my car and he was there within minutes, making a frustrating situation short lived. Highly recommend!